Leveraging Relocation Benefits: Hiring and keeping employees who are talented and have extensive skill sets is an increasingly challenging proposition for many healthcare companies. Health eCareers notes in their 2017 Healthcare Recruiting Trends Report that over the past several years and into the future, demand for healthcare services is predicted to increase dramatically, while at the same time the supply of healthcare providers will decline, with shortages of qualified employees throughout all levels of the industry. Thirty-five percent of healthcare companies plan to broaden their talent searches to a wider geographic region, and sixty percent of healthcare companies are offering to pay for relocation. According to the Society for Human Resource Management’s 2017 Employee Benefits Survey, HR professionals are increasingly leveraging employee benefits to attract and retain employees. Typically, the range of benefits include health insurance, retirement savings and 401K plans, family and medical leave, and flexible work schedules. Healthcare companies recognize that having a full range of desirable benefits gives them a competitive edge attracting new hires. Many healthcare companies increased their overall benefits during 2017, in order to remain competitive in the talent marketplace. Up to two-thirds of healthcare companies reported difficulty in their recruiting efforts and a shortage of employees with specific skills. Expanding recruitment efforts to include global destinations increases the complexity of the search for talent. The Benefits Survey notes that HR professionals reported that offering more flexible work arrangements was one of the most effective benefits their company could provide in attracting new hires. This indicates employees are looking for innovative ways to fulfill their job obligations while pursuing active lifestyles themselves and with their families. Relocation programs for healthcare companies should be designed to provide companies and their employees the resources and tools they need to ensure a smooth and successful relocation process. A robust program should account for ongoing employee support services, supplier management, candidate selection, relocation benefits, and expense management. 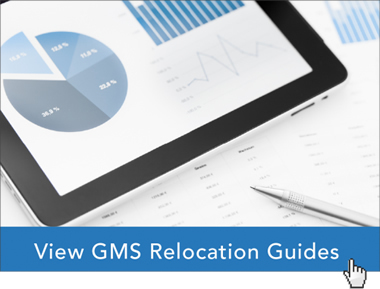 Global Mobility Solutions’ team of corporate relocation experts have helped thousands of our clients develop relocation programs that attract and retain qualified employees. Our team can help your healthcare company by using industry best practices to design a relocation program that is attractive to your new hires, and effectively communicates your company’s value proposition in the healthcare industry. Contact our experts online to discuss your healthcare company’s relocation program needs, or give us a call at 800.617.1904 or 480.922.0700 today.